I recently went from long to shoulder length. Used to curl with my hair straightener. I got this after seeing tutorials online using similar wands. I was worried my hair would look odd going from large to small curl at the end, but I can't notice, it is a nice curl. Easy to use for shorter hair. I can curl my hair with this in 5 - 10 minutes. Good price compared to some, so thought would try. Use all the time when I want to wear my hair curly/wavy. 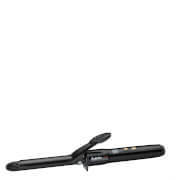 I've got medium hair and this curler is just awesome at creating those beachy waves. heats up quickly and very easy to use! Definitely recommend! This curler is the bomb!! I almost brought the Cloud Nine wand, but when I saw this one which is almost identical, & for the price, I jumped on & purchased it straight away. The results are incredible & so quick to achieve. I have naturally wavy hair, to I use this curler to have more defined curls. I love the graduated size, to give greater control. It is easy and quick to use as it heats up quickly. I am super happy with my purchase of this curler. I recently cut my hair into a long bob and wanted to create the look I'd seen when selecting the cut - effortless waves. I had been trying get the look using my straightener and just found that the curls were too much. 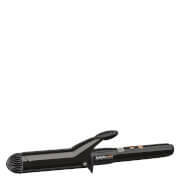 This curler creates nice beach waves, and because it has a heat dial with various settings, you have more control over your look. It gets hot very quickly and the heat mat is a great inclusion. I also love that the size of the barrel varies, so you can create that effortless look that also adds shape and body to your hair. I had done a bit of research before making my purchase and am very happy with my decision to go with the Babybliss pro, and RY has great competitive prices. I have short ringlet-like curls (almost afro-ish) and I envy the girls with nice loose waves throughout their hair. I bought this hoping that I would get the same results and I did! Very surprised, can make nice loose waves without the need to even straighten my hair in the first place! And I have very short hair! Earlobe length! This curler gives excellent body and amazing curls, you will need to practice a bit to get the hang of it, because there is nothing to hold your hair in place, which is also good because it is so versatile and you can curl your hair any which way, all in different sizes. You will need some product to help keep the curls in place throughout the day. An awesome product so happy I bought it!